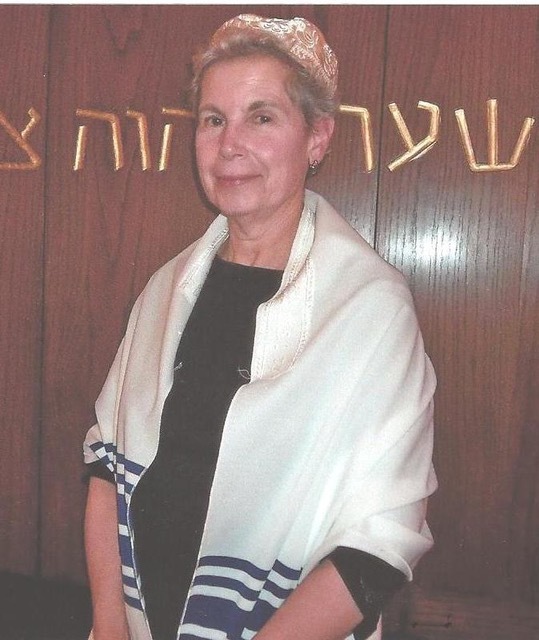 Congregation Beth Sholom is committed to providing a Jewish organization in Central Delaware. We have been in existence since incorporating in 1946. Our building was dedicated in 1963 and has been continually updated and modernized to keep pace with energy efficiency, handicapped accessibility, and maintain comfortable surroundings. Although we are a small congregation, our philosophy is to maintain an egalitarian setting with strong rabbinical support and opportunities for educational and spiritual growth. We practice traditional prayer services on Friday nights and Saturday mornings. Saturday services are suspended during the summer months of July and August. Our Rabbi conducts the High Holiday services and Shabbat services on a monthly basis. While our lay leaders provide alternate leadership in the interim, our choir and young post bar/bat mitzvah teens supplement other Shabbat services. We offer Jewish history and religious classes for all ages. There are plenty of opportunities for newcomers to meet our warm and friendly congregants. And we welcome you to participate in living Jewishly. Congregation Beth Sholom is affiliated with the conservative movement. However, our membership is diverse, representing a wide range of paths to Judaism. We welcome the non-Jewish family relatives along with the Jewish members, and those who are interested in finding out more about Judaism. We invite you to become part of our warm and supportive community. At Beth Sholom we emphasize Jewish learning as the path to spiritual development and responsible action. If you feel you don't know enough about Judaism, we will help you learn. We believe that every moment has the possibility to be a Jewish teaching moment, whether it happens in the sanctuary or the kitchen, whether engaging in a social activity or social action. Judaism is a rich treasure awaiting our exploration. For thousands of years Jews have acted through communities, sharing a sense of common destiny and responsibility. That tradition continues in our synagogue. We want to live our lives to represent the best Jewish values, and we want to support Jewish community life in Dover. We offer teaching and mentoring to help intermarried families feel comfortable in our synagogue community. And we offer opportunities for the non-Jewish partner to participate in our community's life. We hope you will join us. If you are reading this message on our website, then you are considering taking an important step--- joining a Jewish community, a place where you will be able to worship, to learn more about your heritage, and where you will feel at home. I am very happy to be Jewish. And I am happy to be a rabbi, having come to the rabbinate somewhat later in life. As a rabbi, I count myself fortunate to serve Congregation Beth Sholom. This is a community where people are friendly, and have a willingness to learn, an appreciation for tradition, and a tolerance for meaningful change. Because people in this congregation relate to each other cooperatively and constructively, we are able to spend our time doing what is important----learning, giving support to one another, and celebrating our Jewish tradition. I love to learn and I love to teach. It is my hope that others will come to share the enthusiasm I feel for all aspects of Jewish life and be inspired to take an active role in this community. As the rabbi of Congregation Beth Sholom, I am delighted to be able to do my part so that Am Yisrael Chai, the Jewish people and Judaism live on from generation to generation. Beth Sholom welcomes intermarried couples to our community. We treat everyone with warmth and respect. We are very enthusiastic about our traditions and the opportunities Judaism offers to make life more spiritual and meaningful. But we also recognize that our way is not the only path to a godly life. Our sages declared that the "righteous of all people will inherit the bliss of the hereafter."